Hippie bohemian circle skirt in 70s retro style. 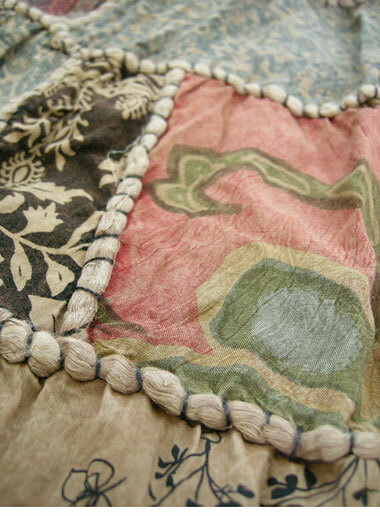 It is a patchwork of different fabrics / ornaments, hand sewn with thick threads. Drawstring and elastic waist. Color: multicolor. Cool hippie design, 70s style, absolutely trendy!